Susan Clowdus was born in Atlanta and graduated from Fulton High School in 1974. She graduated from Clayton Junior College (now Clayton State University) in 1976. From 1974 to 1978, Susan worked for Coca Cola. She later did an internship with GM and worked for the president of Georgia Atlantic Company. In 1993, Susan selflessly gave her brother a kidney and during her recovery period, she said to her husband she'd like to try real estate parttime. He gave her 90 days to start closing transactions and making money. Susan joined Coldwell Banker and within the first month she had 12 listings. At the end of the 90 days, she had closed 10 transactions. Her referral business grew and because Susan wasn't opposed to working hard, she would often be on floor duty and routinely called expired listings. As a result of that, in her 15 years with Coldwell Banker she was often the number one agent in Henry County as well as being the number one agent in the state of Georgia within the company. In 2010, Susan formed her own company and she and her team moved into their new offices at Eagle's Landing on the 1st hole of Eagle's Landing Country Club golf course. Since then, Susan has continued to be recognized as one of the top producing agents in Henry County. In 2013 alone, she and her team were responsible for over $20 million dollars in real estate transactions in Henry County. Susan is one of the leading resale agents in the Southern Crescent and has made a reputation as being the "go-to" agent in luxury real estate in the area. Her team consists of 4 licensed agents including herself, Sherry Driver, John Black, Jimmy Clowdus, and John Clowdus. They serve the entire Metropolitan Atlanta area. 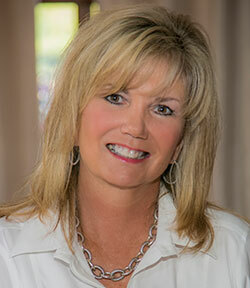 When not working in the real estate, Susan enjoys spending time with family, reading and playing golf.